Code found inside the Facebook Messenger app discovered by The Information reveals that the company is planning to allow users to pay for items through the app, bypassing credit card terminals at the store. 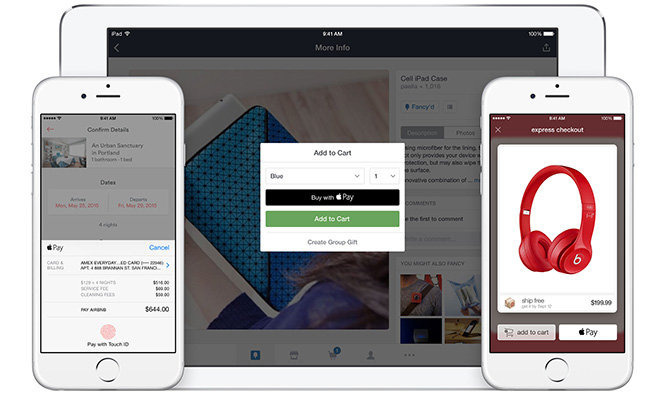 Specifically, the app will allow customers to "pay in person" or "pay directly in Messenger when you pick up the item." Facebook allegedly has a large team working on the project, which will eventually allow customers to buy items in retail stores, having the Facebook Messenger app authorize the credit card transaction. It's unknown how the service will work, but Facebook Chief Executive Mark Zuckerberg said in January that it's possible that his company could forge partnerships with the likes of Apple to enable a payments service, such as through in-app purchases. Facebook is interested in creating a system that makes it easy for users to interact with businesses, which would enable the social networking giant to potentially charge more money for ad space. "We'll partner with everyone who does payments," Zuckerberg said. "We look at the stuff that Apple is doing with Apple Pay, for example, as a really neat innovation in the space that takes a lot of friction out of transactions as well." Of course, if Facebook ultimately can't or won't broker a deal with Apple Pay, then its new service could become a competitor by default. The mobile payments space has been heating up with Android Pay and Samsung Pay vying for position, while surveys show that Apple Pay remains the most popular option. Apple apparently plans to expand Apple Pay later this year with support for website integration through its Safari browser. With the expansion, Apple Pay would allow e-commerce partners to accept Apple Pay through the Web, making it easy to securely share credit card information and authorize a transaction for goods or services.